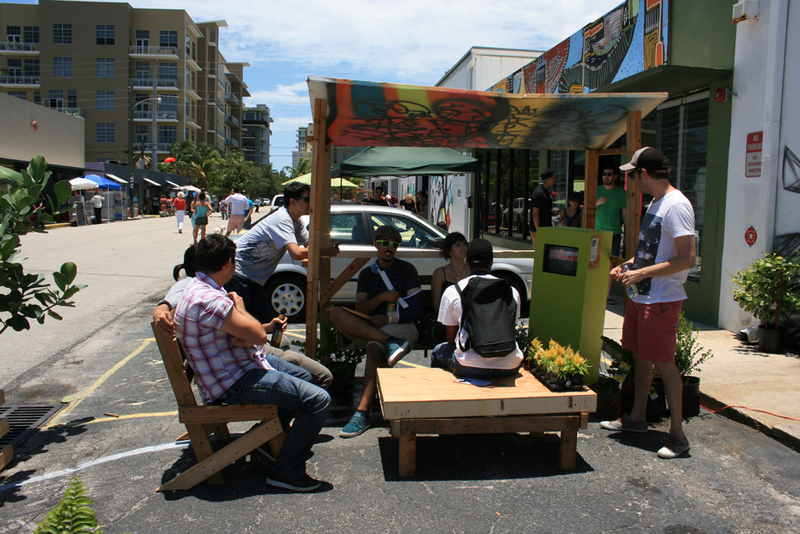 The Better Block project, founded less than 10 years ago in Dallas, Texas, is not only changing streets for the better — in many ways, it’s changing the urban planning process. 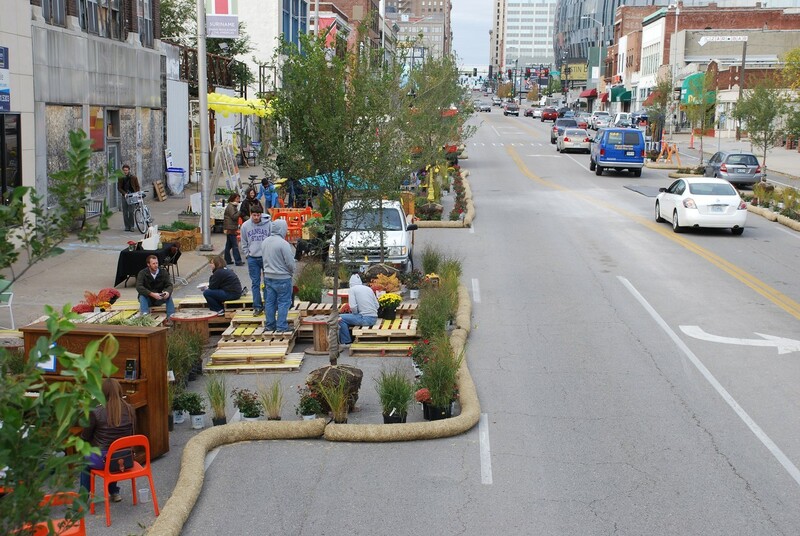 Better Block brings “pop-up,” temporary businesses into abandoned buildings, creates temporary bike lanes with chalk and cones, turns underused parking spaces into outdoor cafés, and generally celebrates the awesome potential of ordinary urban places. The strategy of using temporary installations — a prime example of “tactical urbanism” — allows people to reimagine their neighborhoods while circumventing time-consuming and potentially hostile regulatory and political processes. Angie Schmitt: What is the history of the Better Block project? 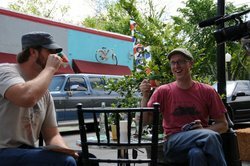 Jason Roberts: The Better Block project started in April 2010, in Dallas, Texas. I had a series of blighted buildings in my neighborhood and a street that was really wide. I started trying to figure out why they were boarded up. I found out it was zoned for light industrial, it wasn’t zoned for retail. The original reason these buildings exist was no longer allowed. We looked at the streets and said, “Why can’t we get bike infrastructure in the area?” At some point I said, “Couldn’t we make this into our dream block, the blocks that I love in European cities or other places I’ve seen that are filled with flower shops and bakeries and cafes and bike infrastructure and landscaping and people sitting outside and eating and drinking?” I got together with some friends and we decided to do a guerrilla installation. It was really inspired not so much by New Urbanism because I hadn’t known much about this. I came from an artist background and I also was an IT consultant. Really, I was looking at what happened with Shepard Fairey and the street art movement. I loved how those things were sort of shocking the system. I was thinking, why can’t we apply those same ideas to a block? The first project we ever did was very guerrilla. We didn’t get permits, we just painted bike lanes in the streets. We found props like old historic lighting. We put café seating out. We took away car lanes. We went into the vacant buildings, we talked the property owners, they let us use the space. We created our own coffee shops, flower shops. We turned an old car garage into a kids’ art gallery and we built fruit stands and things like that. And then we printed off the ordinances and zoning for the area that we were breaking and we put it in the window, to show these are all the things that aren’t allowed in our city. And we invited the City Council, the city staff and the community, and we said, “Hey, come on out to this great block that’s just opened in Dallas.” What happened was city staff and City Council members came back and said, “We don’t know why we do these things with bad zoning. Why do we have these ordinances that say it’s $1,000 for flowers on the sidewalk or $1,000 minimum for shade awnings?” And so those ordinances rapidly started to get put on the City Council docket. These [ordinances] had been on the books since 1941. We had an ordinance that said crowds weren’t allowed to gather on the sidewalk. It was a minimum of $1,000 to put café seating out. A $1,000 minimum for sandwich board or sidewalk flowers — those things started getting addressed immediately. We got the bike lanes that we built put into the bike plan for the city. One of the businesses we just did temporarily became permanent. We were able to show this temporary transformation over a weekend; we were able to educate the community and get everyone talking about why don’t we have better places like this. And that’s really kind of how it started. AS: And now you’re a nonprofit organization and this happens all over the country? JR: It happens all over the world now. We’re not a nonprofit, we have a for-profit consulting company and cities are bringing us in asking us to coordinate better blocks. We also have a website and we opensource all the ideas so that anyone can do it. AS: How many places have you done it? Probably about 10 different U.S. cities. We advise a lot more cities that just end up doing it on their own. What’s been amazing is that some cities, like Memphis, are now looking at making the Better Block Project part of their planning process. If you talk with Memphis about the investment they’ve made, they may put tens of thousands of dollars on the ground, but see millions come back in economic redevelopment in the area. For a relatively little amount of dollars, rapidly, you’re seeing transformation happen. What’s been amazing, it’s become this movement. I’ll be in Australia next month. They’ve got two Better Blocks going on there. I’ll be speaking in Denmark and in Germany in September. We just finished advising on a Better Block project in Tehran, Iran. We laugh and say, it’s almost a diplomacy effort through placemaking. It’s proven; it works. We see buildings that have been vacant for a decade get sold rapidly after our projects. We regularly see businesses stay permanent on projects. We’re starting to see, about two years later, after a project’s been done, if we go back to an area … it’s usually dramatically changed, there’s a lot more energy on the ground. Cities already have processes for planning where they spend millions. Our effort was just to change the public process. Instead of town hall meetings and charrettes and long discussions, just go on site to where the problem is and start fixing things in days, not years. AS: Can you cite a few more specific examples about successes in different cities? JR: In Fort Worth, right after their Better Block project, the city went back and painted bike lanes two weeks later, permanently striped those bike lanes. That never happens. You just don’t get bike infrastructure that fast. Norfolk, Virginia, where we just left, they immediately queued up zoning and ordinance changes in the area and they were immediately approved. That was literally two weeks later. So, I mean, these temporary installations, they do several things: they raise the social capital in an area, they start taking back these areas for themselves … It also educates politicians, city staff, and the communities about ideas like walkability and bikability and creating neighborhood destinations and the importance of those things. Beyond that, we’re just seeing the economics change. In a relatively short amount of time, we’re seeing areas that were not contributing to the city’s bottom line now getting turned back on. It’s like a light switch getting turned on. The beauty of it is, we work with the communities to create these things. You go on site and you talk to the community and you say, “What is it that you wish you always had here?” They could say anything. They could say, “We wish we had a café.” Or, “We wish we had a daycare center.” You start working with the community to figure out how can we do this temporarily. And fortunately, because it is a temporary process, there’s such low risk involved. It’s not like trying to start a business where you’re having to get all your insurance and your permits and spend all this money up front hoping this business will work. This gives you a chance to test this idea up front and incubate it. And if it works, they see that it’s viable and that people are responding to this business that’s been put on the ground in a positive way. And also, what we do at Better Block, we try to get multiple businesses at once, we try to get several pop-up businesses on the ground. It turns the area into a destination pretty quickly. It gives people a reason to linger in a space. It changes the psychology of a single street. It makes people think completely differently about an area that they may have lived around for 20 or 30 years. AS: You mentioned zoning and ordinances. What are the most problematic zoning challenges cities have? JR: People will ask us, where do you typically go when you go to a city. And these days, what we’ll do is we’ll pull up the old streetcar maps. Because most U.S. cities had streetcars. If you go to those old streetcar neighborhoods, there’s oftentimes a cluster of commercial buildings nestled into the neighborhoods. Those are ready-made to be the neighborhood destinations. Those are where your grandparents shopped. You’d go to the butcher or the baker, get their groceries. They’re really built for walkability because of their proximity as well to the neighborhood. And oftentimes they’ve been zoned out of existence or relevancy because we were trying to get people to move out further. We created bigger grocery stores further away and bigger amenities further away. AS: What kinds of cities are most primed for these types of interventions? JR: We love working in the Midwest and the South. The East and West Coasts were kind of already built with great infrastructure in place, at a more human scale. And whenever cities come in and adopt bike and pedestrian infrastructure, it works really well because they have many things to walk and bike to, small little clusters. While in the Midwest and the South, it’s not hard for us to create walkable, bikeable infrastructure, but we’re lacking places to walk or bike to. The Better Block is about fixing the public space and the private space. You have to do that. Otherwise if you put bike lanes next to a business, they’re going to be like, “Well, you’re going to make this harder for me. You’re taking away my parking.” If I put this coffee shop in, this is how this bike lane is going to really help make that possible and how this café seating is going to work with that as well, how that is going to create a buffer for the cars that go down the street and slow it down a little bit.